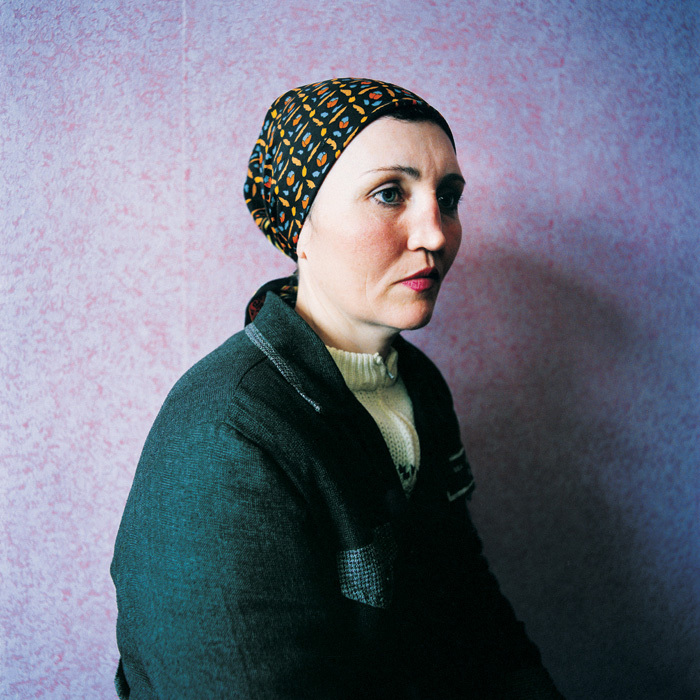 Michal Chelbin’s latest body of photography, shot in seven prisons in the Ukraine and Russia over the past six years, explores what it means to be locked and constantly watched and to be looking back at such a person in this surreal world within a world. Chelbin’s portraiture is renowned for it visual contrasts old and new, odd and ordinary, fantasy and reality and for unmasking the legendary qualities not immediately apparent in individuals. The title, “Sailboats and Swans”, refers to the idiosyncratic, and almost mocking, bucolic and fantastical murals and wallpaper backgrounds she found throughout the prisons. These contradictions of life in prison abound in girls’ flowery dress prison uniforms, murderers working as nannies to other women’s babies in the new mothers’ prison, young girls serving time alongside grandmothers perhaps witness to their own futures, and the mesmerizing human blend of fear and cruelty in the boys’ and mens’ prison where big tattooed bodies are now zombie-like, worn down by the daily travails of trying to survive being locked up in a world devoid of hope.For the past decade, Michal Chelbin has been traveling to shoot in the Ukraine and Russia, the countries of her ancestors, drawn to the extreme contrasts and mythological qualities. Through the connections she made, she gained incredibly rare access to create portraits of the prisoners. Never asking the crime until after finishing the portrait allowed the artist to see the individual through her lens, not the prisoner, in sittings that sometimes lasted for hours until the mask wore down.